We all know style make fights and we are going to witness a historic battle between former two-division champion Conor McGregor who’s returning to Octagon after two years of hiatus to face an undefeated Khabib Nurmagomedov at UFC 229 on October 6. McGregor is a powerful striker meanwhile Khabib is a great grappler, these two opposing styles should make for an intriguing showdown. Will McGregor’s striking ability keep Nurmagomedov from dropping him to the canvas? If Khabib successfully takes Irishman to the ground, what will happen? Note here both fighters don’t like either that could add spice in the fight. MMA community and pundits gave their predictions about this super fight that who’ll come out victorious. Many visualize if Mcgregor beat Khabib it would be via knockout, while if Nurmagomedov beats Mcgregor, it would be by submission, decision or TKO. 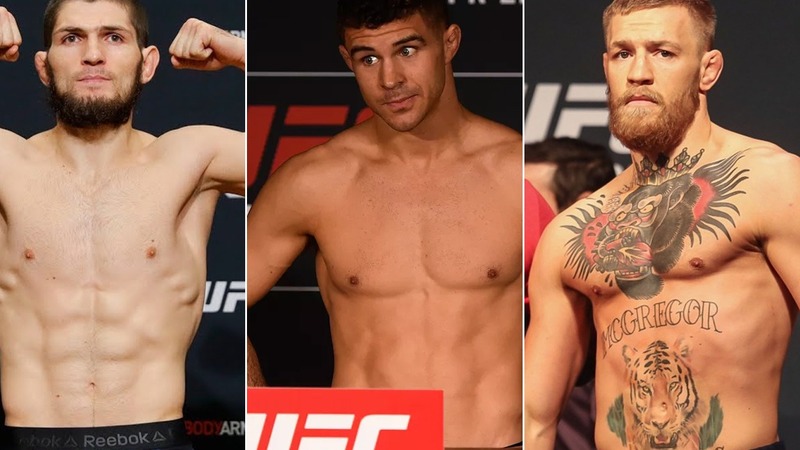 Regardless of whatever the outcomes will be, Iaquinta would love to see Mcgregor get a massive beating at UFC 229 then the one he endured at UFC 223 and rooting for Khabib to come out a winner in a violent fashion. Do you agree with Al Iaquinta’s assessment on this bout? Who you vote between Mcgregor and Khabib to win?